Back cover feature a black and white drawing of the Hulk by George Pérez (cover of the regular edition of MORE FUND COMICS #1 (Sep 2003)). See also MORE FUND COMICS CARD. JG: Yeah, I'm interrupting but KC and Johanna are really cool! KC is one of the silent helpers behind Even More Fund, and last year's More Fund, and Johanna -- well, if you haven't heard about her comics review website (comicsworthreading.com), where have you been? If you don't use Diamond's PREVIEWS (retails for $3.25), then you are probably already on other free catalogues such as Westfield Comics (free to subscribers) or Bud Plant's catalogue (free upon request). The Bud Plant catalogue is published quarterly, and the latest one is SPRING 2004. There are several interesting Perez-related items in it, including the MORE FUND COMICS (Frank Cho Cover) for $11.95. This edition has a special cover by Cho, which was previously only available at the Baltimore Comic-Con. Sky Dog, 2003. SC, 7x10, 192 pages, b&w. The catalogue also recommended LEGION COMPANION and MODERN MASTERS 2: GEORGE PEREZ, which is usually about an extra 10% larger than other listings. Week 2 of Comicon.com Auction, plus More Fund Comics Total! The second week of the COMICON.COM's CBLDF Holiday Benefit Auction kicks off today with another blockbuster round of A-list items donated to raise money for the Fund's fight for free speech! Last week's auction raised nearly $4,000! High points included stellar pieces, such as the original art to Frank Cho's amazing cover to More Fund Comics, a benefit produced by SkyDog Comics and the Baltimore Comicon. That piece closed for an extraordinary $2,000! Other highlights included original Promethea art by JH Williams,which closed for over $500; a Zippy page by Bill Griffith, which closed for over $400; and a Rick Veitch Greyshirt cover, which closed for over $250. 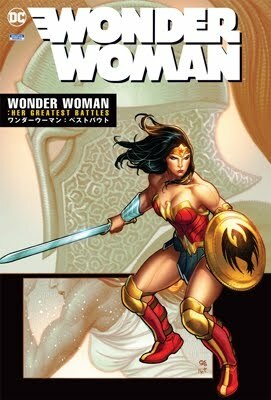 This week we're offering an even bigger selection of great items by comics all stars including Jim Lee, George Perez, Mark Silvestri, Frank Miller, Neil Gaiman, Howard Cruse, Joseph Michael Linsner, Michael Gaydos & Brian Bendis, Darick Robertson, Tim Truman, Peter Bagge, Steve Bissette, and many more. Visit the CBLDF on eBay. to bid on these fantastic pieces for a great cause! ITEM! More Fund Comics Raises Over $17,000 In 2003! More Fund Comics, the benefit book published by Sky Dog Comics with the Baltimore Comicon has raised over $17,000 for the CBLDF so far this year. John Gallagher, editor and publisher of the book says, "I just put a check in the mail for $10,000 representing the money raised after costs on the initial orders of More Fund. It's very gratifying to have worked with so many great artists to make this dream project become a difference-making reality for the CBLDF." In addition to the $10,000 raised by the book, More Fund artists also contributed much of their original art, including cover artists George Perez and Frank Cho. Most of that art was sold on auction at Baltimore Comicon last September where it raised $5,000 for the CBLDF. Last week on eBay the Frank Cho variant cover was sold on auction as part of the Comicon.com Holiday Benefit Auction for the Fund and it raised over $2,000. Between the book and auction proceeds More Fund has raised over $17,000 to date! "This was a fantastic fundraiser," enthuses Fund Director Charles Brownstein. "Everyone involved went above and beyond the call to produce one of the best anthologies anywhere and to do it for a cause that urgently needs everyone's support. More Fund will help us build our war chest so we can fight whatever battles the coming election year dishes out." Despite the high winds and floods provided by Hurricane Isabel, Baltimore Comicon was a roaring success. Held September 20 and 21, the show was the launch pad for More Fund Comics, an amazing anthology of comics by dozens of creators including Frank Cho, Brandon Petersen, Scott Kurtz, Mark Schultz, John Gallagher, Steve Conley, John Romita Jr, & John Romita Sr., Mike Oeming, and many, many more. Over 500 copies of the book were sold at the show, including the exclusive, limited edition Frank Cho variant cover, featuring the title character from his upcoming series "Summer Days." In addition to More Fund, Jim Lee signed all day on Saturday for crowds numbering in the hundreds. Following Lee's marathon signing, the More Fund Auction happened, where the Fund auctioned George Perez's cover to More Fund, Steve Conley's art from the interiors, a one of a kind Frank Miller banner, and much more, raising $5,000 for the Fund. All told Baltimore Comicon raised $8,600 for free speech! Ron Marz, Brandon Peterson, and George Perez made it to the Baltimore Comic Convention this weekend, bringing with them a stripped down Crossgen booth apparently designed for smaller conventions. There were a few revealations, be forewarned of possible spoilers ahead! The three of them held a panel discussion on Crossgen today, much of which was spent discussing "The War" miniseries. Ron Marz (who is writing the miniseries) made use of the event to ceremoniously hand over the script to the first issue to George Perez (who will be the artist on the series). George complained that there weren't enough characters in the script, but that he would change that. They also handed out copies of the Call to Arms poster at the conclusion of the panel. Not much was revealed about the miniseries. It will be three issues, each 38 pages in length, with the first issue coming out in late May 2004. Incidentally, in a later conversation I had with George, he confirmed that it is Sephie depicted in the print. They spoke a little bit about the financial troubles facing Crossgen, which have yet to be resolved. They admitted that morale is off, but the issues are being completed on time even if they aren't being published on time. George said he is committed to remaining at Crossgen, despite repeated efforts to get him to defect, however it is unlikely he will return to Solus after doing The War (on the other hand, Solus may not return after the miniseries). Some odds and ends: There will be a second round of DVDs out before Christmas, possibly including Chimera. Heroclix is interested in doing a full set of Crossgen figures. Brandon did the cover art for the convention program, a great drawing of Arwyn holding the American flag. George did the Hulk cover art for the More Fund charity anthology (regular edition - there was also a limited edition with a Frank Cho cover), while Ron and Brandon collaborated on a story for the anthology. I asked Ron if it was true that Mystic was due to be cancelled - he wouldn't confirm or deny it but said it would be published through next Spring at least. Right now Ron is working on the crossover story between The Path and Way of the Rat. Everyone is delighted with the script for the Way of the Rat movie, Ron did indicate that the script writers have come up with an different take on how Po Po started talking. It sounds like Chimera has a movie deal already. Crossgen expatriates Mark Waid and Joshua Middleton were also at the convention. I'll probably think of more later, or will hear more tomorrow, and will add to this account if I do. If anyone else picked up on something I missed please jump in! While the winds are blowing furiously outside in Baltimore, exhibitors and guests are arriving in droves for this weekend's Baltimore Comicon. The Weather Channel expects the storm to blow itself out of the area by show's opening on Saturday, but for the Fund that's when things will heat up. Jim Lee will be signing throughout Saturday afternoon, More Fund Comics will debut, and at the end of the day we'll be holding the More Fund Auction. Auction highlights include original art by George Perez, Frank Cho, Gene Ha, Mark Schultz, and Stan Sakai, as well as signed scripts by Alan Moore, Mark Millar, Garth Ennis & Mark Waid. More items will be coming in on Saturday afternoon, but for now, we're proud to present the list of items that will be auctioned off on Saturday at Baltimore Comicon. Over 40 items will benefit the Fund, so come down, show your support, and walk away with some great pieces! As we reported last week, More Fund Comics, the Comic Book Legal Defense Fund benefit book scheduled to debut at Baltimore Comic-Con, September 20-21, has added 64 pages (for a new total of 192) without increasing its $10 cover price. Now the Sky-Dog Press publisher John Gallagher has announced a show-exclusive variant cover by Liberty Meadows creator and Amazing Spider-Man cover artist Frank Cho. This variant edition will only be offered at the convention. The cover introduces a new creation by Frank Cho and PvP creator Scott Kurtz, Summer Days, who also is featured in the duo's 10-page story in the book. As previously announced, Gallagher has already assembled an all-star line up for the project, including Cho, George Perez, Mike Oeming, Erik Larsen, Geoff Johns & Scott Kolins, Mark Wheatley, Scott Kurtz, John Romita, Sr., Adam Hughes, Mike Wieringo, John Romita, Jr, Todd Nauck, and many others. "The generosity of the creators participating in More Fund has been overwhelming," Gallagher said in a press release announcing the variant cover. "With over 30 stories by top artists (and the fact that it helps the CBLDF), I think everyone will see this is a 'must-have' book." More Fund Comics is a 192-page trade paperback, shipping in September, retailing for $10.00, Published by Sky Dog Press, Diamond Comic Distributors item #JUN03 2205. It hits comics shops the soon after the Baltimore Comic-Con. In addition to teaming up to make the star-studded anthology, many artists are chipping in to raise money for the CBLDF at the More Fund Auction, happening at the show. Auction art includes the original More Fund covers by George Perez and Frank Cho. Also in the auction is art by Mark Schultz, Steve Conley, Stan Sakai, John Gallagher, Rich Faber, John Snyder, JG Jones, John Bean Hastings, Gene Ha, and more. In addition to original art, we'll also have signed scripts by Alan Moore, Jeph Loeb, Garth Ennis, and Rick Veitch, plus signed art prints by Frank Miller, Matt Wagner, Teri S. Wood, Frank Cammuso, and others. Creators coming to Baltimore Comicon will also be committing more pieces in the hours leading up to the auction, so be sure to be at the show on Saturday so you don't miss out on some spectacular work being auctioned for this great cause! Tim O’Shea: How did it come to pass that More Fund Comics will debut at Baltimore? Marc Nathan: More Fund Comics, an anthology that will greatly benefit the CBLDF will debut at the show this year. We made a lot of money for the fund last year and wanted to top it. One night in January, myself Frank Cho and John Gallagher and a few others were having dinner and we spoke on how to go about beating the total raised last year. John had just completed his collection of Buzzboy and was tuned in to make a trade. The idea to ask mainstream creators to fill the book was a reflection of our annual guest list. Frank got on the phone, I asked George Perez, who received his Defender of Liberty award in a ceremony in Bonnie’s restaurant, Charles Brownstein got permission from Marvel for the Hulk cover and big name creators with stories came flowing in. At the show, we will also have an auction for some of the art, including the Perez cover. We hope to make a zillion dollars for the Fund. Frank Cho and Scott Kurtz will be launching a new strip in the book that will make the book important for years to come. With Wizard World Chicago behind us, all eyes turn to the Baltimore Comic-Con, September 20-21. New artists are coming on board the MORE FUND COMICS Bandwagon every day, contributing stories & art to the star-studded benefit book for the CBLDF. At the Sky-Dog comics website, new sneak preview art has been added, featuring Mike Oeming's "Mice Templar," art from John Romita Jr.'s new "Greywatch," Ronn Sutton, Janet Heatherington & Michael T. Gilbert's "5 Alarm Charlie", a new "Usagi Yojimbo" strip by Stan Sakai, and finally, a stunning "Xenozoic Tales" pin-up by Mark Schultz. "Retailers and fans have been clamoring to know what everyone is doing in MORE FUND," said Sky Dog publisher, and the book's editor/designer, "so we've listed as complete a list as possible on the Sky-Dog site. Once you see the art and contributor's list, you'll just have to have this book-- Like Jack Kirby said: 'Don't ask! Just Buy It!'" COMICS BUYER'S GUIDE #1545 You need to have your cookies enabled to view the full article of More Fund Comics to raise CBLDF funds By Nathan Melby (June 06, 2003). Originally published in COMIC BUYER'S GUIDE #1545. Current Fantastic Four artist Mike Weiringo, Elektra artist Sean Chen, Avengers/JLA editor Tom Brevoort, and Avengers cover artist J.G. Jones have been added to the Baltimore Comic-Con's guest line-up that already includes superstars like artist Jim Lee (Batman), artist George Perez (Avengers/JLA), writer Mark Waid (late of Fantastic Four), and writer Geoff Johns (JSA). The convention, which runs September 20-21 at the Baltimore Convention Center (right by the famous Inner Harbor), has promised more guest addition announcements. "We already have those guests plus Judd Winick, Michael Avon Oeming, Frank Cho, Adam Hughes and many others, but there are still revelations to come," said Marc Nathan, the show's promoter. Information about the show can be found at http://www.comicon.com/baltimore/, or by contacting Cards, Comics & Collectibles at (410) 426-7410. Other guests for the show are scheduled to include Neil Vokes, Top Shelf Productions, Billy Tucci, Greg Horn, Joseph Michael Linsner, Scott Kurtz, Steve Conley, Brian Stelfreeze, Michael Kaluta, Dean Haspiel, Brad Meltzer, Marty Baumann, Karl Story, John K. Snyder III, Marc Hempel, Mark Wheatley, Alternative Press, Jimmy Gownley, John Gallagher, Rich Henn and others. The show will also so the debut of More Fund Comics, an anthology benefiting the Comic Book Legal Defense Fund published by Buzzboy creator John Gallagher's Sky-Dog Comics. Advance solicited through Diamond Comic Distributors in June, this book features stories, pin-ups and sketches from many of the creators attending the show as well as Art Adams, Brandon Peterson, Butch Guice, Dan Fraga, Amanda Conner, Stan Sakai, Terry Dodson, Cully Hamner, Matt Smith, J. Scott Campbell, Benn Dunn, Erik Larsen, Jerry Ordway, Michael T. Gilbert, Harry Roland, Paul Grist and others. The 144-page book features an Incredible Hulk cover by George Perez and carries a price tag of only $11.95. The local project that grew into a charity comic book features work by comics stars. More Fund Comics could, its producers hope, raise the most money for a single project for the Comic Book Legal Defense Fund. The 128-page black-and-white book, to be released in conjunction with the Baltimore Comic-Con Sept. 20-21 for $10, will feature a Hulk cover by George Pérez and stories by John Romita, Adam Hughes, Mike Oeming, Frank Cho and Scott Kurtz, Jerry Ordway, Erik Larsen, John Romita, Jr., Stan Sakai, Butch Guice, Geoff Johns, and many more. It will be priced at $10. Marc Nathan of Cards, Comics and Collectibles in Baltimore, John Gallagher of Sky-Dog Press, and cartoonist Cho came up with the concept during a convention dinner. Since that dinner, the project has grown from what was intended to be a book featuring Baltimore-local creators to a book that, convention organizer Nathan told CBG, he hopes will set a record for most money raised for the CBLDF. "What is very exciting is that, since the momentum has built, people have become more and more excited," publisher Gallagher told CBG. "A lot of these guys work that, but I am sure they would love to have that one personal vision that they have published." Marc Nathan told CBG that he hoped the book that would be introduced at his Baltimore Comic-Con Sept 20, More Fund Comics, would raise more than $50,000 for the Comic Book Legal Defense Fund. His goal is to set a record for a single CBLDF fundraiser. The book, published by John Gallagher's Sky-Dog Press, will feature a George Pérez cover and the artistic and writing talents of more than 50 comics creators. Gallagher told CBG that his sights had initially been set on doing a local project, due to a give-away that Nathan did last year to promote his show. "Marc got involved with getting George Pérez to commit to do a cover and once we had him, Charles Brownstein with the CBLDF made a call to Joe Questada for us to get the permission to use The Hulk. Back to everyone else: On page 296 comes MORE FUND COMICS, a new graphic novel that's an anthology of top name artists and writers contributing new works for the benefit of the Comic Book Legal Defense Fund. Names include Erik Larsen, Frank Cho, George Perez, Michael Avon Oeming, Geoff Johns, Stan Sakai, and a lot more. The total package will be $10 in black and white with at least 128 pages. I talked to organizer John Gallagher at the convention last weekend and he's still holding out the potential to bump it up a few more pages before the book is finalized. In September, dozens of creators will come together for More Fund Comics, the brainchild of John Gallagher, Frank Cho and Marc Nathan. Envisioned in a way as a more mainstream SPX Anthology, More Fund will benefit the Comic Book Legal Defense Fund and premiere at the Baltimore Comic-Con. Newsarama spoke with Gallagher for an inside peek. Going back to the beginning of More Fund Comics, it began, as many things do, Gallagher said, over dinner at a comic convention. Continuing the extensive coverage of THE JLA/AVENGERS PANEL from PITTSBURGH COMICON (April 25-27, 2003). Compiled transcription in: TRANSCRIPT OF THE JLA/AVENGERS PANEL WITH SPEAKER GEORGE PEREZ BY ES. Eric: Ah homages are there drawn any homages to like you said in Baltimore the comic cover to the original JLA/AVENGERS from 1983/1984 and that wasn't the original cover and you were going to try and sneak that in. George Perez: "Well the original cover has already been snuck in. "In fact I did an original piece for ACTOR showing the famous first meeting of the JLA/JSA with the crystal ball but this time it's the AVENGERS lined up around the table and the JUSTICE LEAGUE inside the crystal ball outnumbering the original JSA members from the original cover. I did that as an ACTOR piece for auction and made good money but I knew full well that was going to appear in the book. "There is a scene where CAPTAIN AMERICA is looking at some pictures at the mansion and knowing something is not right particularly since on of the pictures he is looking at is that particular scene and I don't remember any of this and what's going on you. I will not tell you (everyone laughs) but again the idea that Kurt really and, ah, everyone involved, the editors, Kurt are going out of there way to make this more than ah just a quick lunch. We want you to chew on it for a while. My whole goal as an artist, I'm assuming most of you are familiar with my work, I like you to find something new the second time you read a comic, the third time, the fourth time. Never draw one line when four will do. I like the density that people are still coming to me, like the HULK: FUTURE IMPERFECT book saying they just found something in the museum sequence because I spent so much time sneaking things in, little nooks and crannies there. I find sometimes there's the editors that criticize, of course that takes time. "In the long run if I simplify my artwork, yea I can get the work down faster but I think the fans lose out on what makes my style unique. For better or ill this is the Frankenstein that I created, ah, if I started simplify my artwork I going to start hearing "George isn't putting the attention in he use to" (everyone laughs). The thing is I love what I do. This is my 29th year of doing comics professionally. I like to think that I have the same enthusiasm I did when I saw my name in print for the very, very first time when I was 19 years old. I hope to have an unfinished page on my drawing board when I finally pass on. I just don't want it to be the page I'm working on right now (everyone laughs). I absolutely adore what I do. I have been incredibly, incredibly lucky. I am still kicking and have a loyal fan following after 29 years, I'm celebrating my 22nd Wedding Anniversary this year. I have a lovely house, I get to work at home doing the thing that I love. People have commented I always have seem to have a smile on my face even around the fans (everyone laughs) but I would be the biggest ingrate if not to be grateful for what I have. I have been blessed probably more than one man should be and I am going to take advantage of it and appreciate it." Fan: Well, This is kind of a fan boy question. I was wondering if SNAPPER CARR was going to appear. Very special thanks to ES for his wonderful contribution and hard work!